Nowhere will you find such dedication to quality, value, and comfort. Crossroads understand the needs as a full-time or part-time RV traveler. 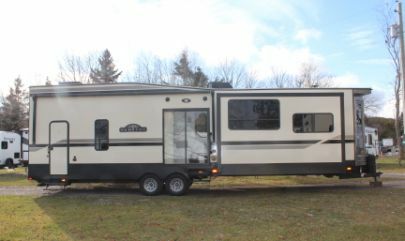 You desire many features for frequent, comfortable travel and Crossroads specializes in providing quality recreational vehicles for the right price. CrossRoads quality is unsurpassed in its class. It's all-aluminum construction is the foundation of its lighter weight half-ton towables. Fully laminated walls, seamless one-piece roof, Filon fiberglass exterior, plywood decking, and more are all construction features found typically in higher-end products. 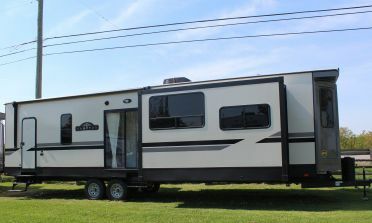 You will find many "extras" as standards throughout the CrossRoads RV lines. 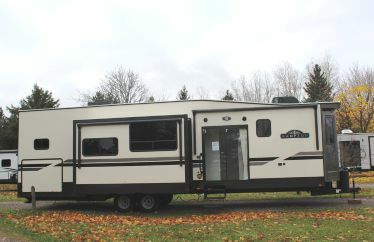 Crossroads RV's strong values for production performance is the foundation of its product promise. Since 1996, it has provided solid products and have expanded its distribution base to a national level.